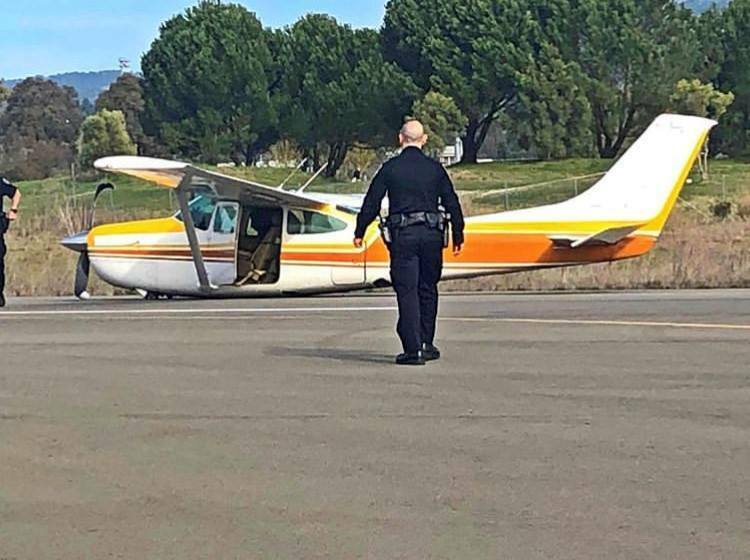 A longtime flight instructor was teaching a student landing techniques Monday when the small aircraft crash-landed on its belly at Petaluma Municipal Airport, police said. Ed Dalbec and his student, Mary Pappas-Elliff, were standing outside the Cessna airplane unharmed when officers arrived just before 11 a.m., Petaluma Police Sgt. Nick McGowan said. The pair had taken off from the Charles M. Schulz Sonoma County Airport and intended to end their flight class at the Petaluma airport, he said. The landing gear was never engaged, McGowan said, and the plane slid nearly 700 feet across the runway. After an initial assessment, McGowan said they discovered the landing equipment was not deployed. “The student had practiced landings before multiple times, and this time they were testing a different speed with a new wing angle,” McGowan said. Dalbec, a retired United Airlines plane mechanic and past president of the Cloverdale Pilots Association, has taught dozens to fly. However, in his nearly 10,000-hours of flying experience, he had never landed on an airplane’s belly before, he said. 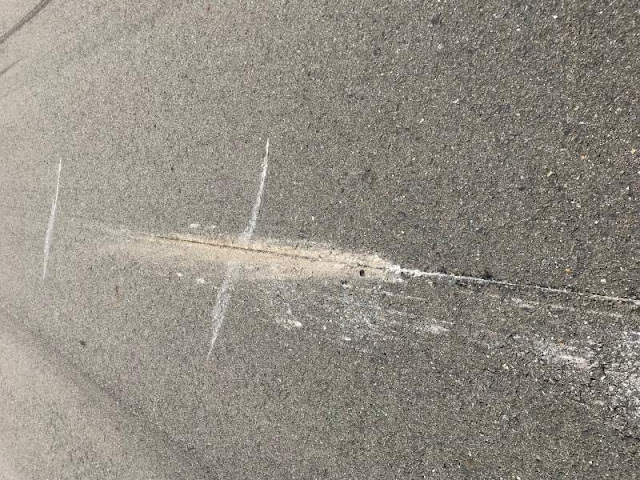 On Monday, the Cloverdale man said he was shocked when he realized they were sliding across the asphalt. Pappas-Elliff had made two successful landings at the airport earlier that morning, and had been an impeccable student leading up to the accident, Dalbec said. She already had nearly 100 hours of instruction and was training with Dalbec to prepare for a check ride with a Federal Aviation Administration examiner, he said. As they were making a final swooping turn back towards the airport, Dalbec said he told Pappas-Elliff to drop the landing gear lever. Before he knew what was happening, Dalbec said the plane was sliding on its belly. “It was my responsibility since I am the pilot and commander, and it was a freak accident that we both learned a lot from,” he said. Dalbec said he wants to resume Pappas-Elliff’s training as soon as her shock wears off. There is no permanent damage to the plane, which belongs to Pappas-Elliff and her husband and is stored in Windsor, Dalbec said. 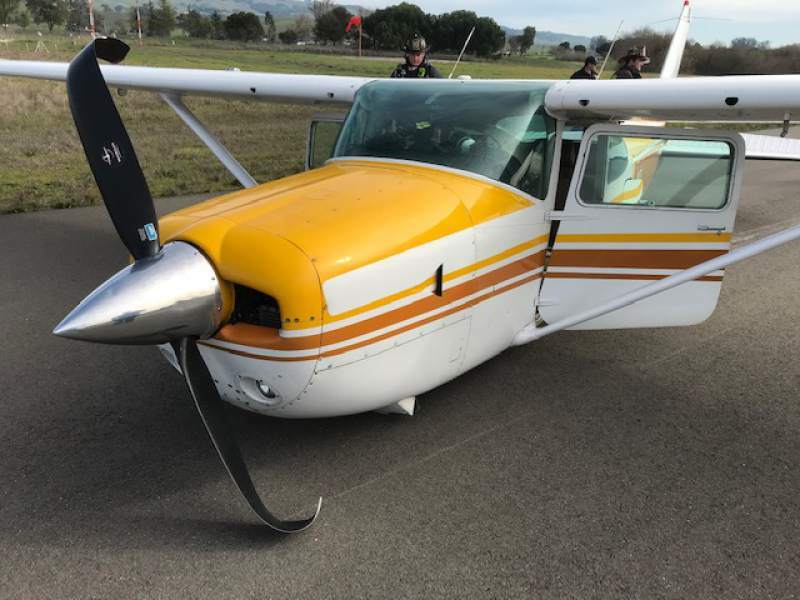 PETALUMA (CBS SF) — A student pilot and her instructor escaped injury Monday morning when their four-seat Cessna plane landed without its manual landing gear engaged at the Petaluma Municipal Airport, Petaluma police said. The plane skidded on its belly 685 feet on the asphalt east runway before it stopped, and it didn’t catch fire, police Sgt. Nick McGowan said. The student pilot, Mary Pappas-Elliff, of Santa Rosa, and flight instructor Ed Dalbec, of Cloverdale, left the Charles M. Schulz-Sonoma County Airport to practice landing. They did not experience any problems in the air but it appears Pappas-Elliff, who was flying the plane, neglected to engage the landing gear when they landed at the Petaluma airport, McGowan said. Police were informed around 11 a.m. of the crash, which damaged the front propeller and the underbelly of the plane, McGowan said. Petaluma police reported the incident to the National Transportation Safety Board and the Federal Aviation Administration. The FAA will handle the investigation, McGowan said.